After making a bold move to include one of his signature taglines in his convention speech and choosing not to explicitly endorse the GOP nominee, Ted Cruz found himself in hot water after he gave his prime-time speech at the Republican National Convention. Check out how Chris Christie reacted to Cruz's RNC speech. It is sublime in its simplicity. The usually bellicose governor of New Jersey was forced to speak in a normal tone of voice to NBC News reporter Hallie Jackson while Newt Gingrich was giving his address to the crowd after Cruz. 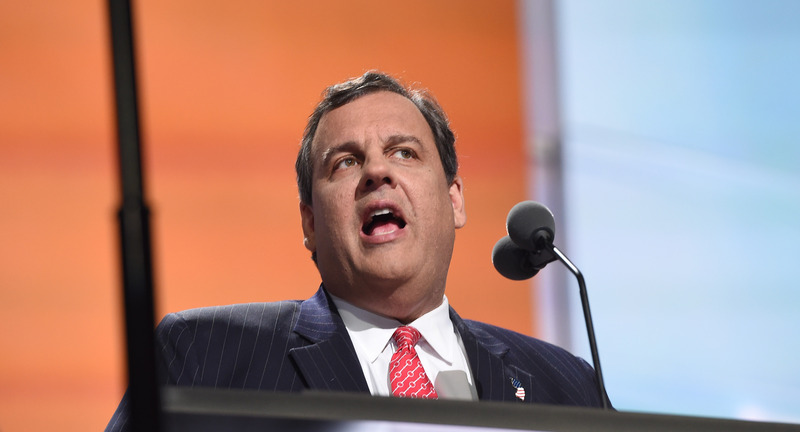 Even though he was speaking softly and with uncommon restraint and composure compared to his usual media appearances, Christie didn't hold back from calling out his former competitor for the GOP presidential nomination for basically being a traitor to his own party: "The fact is, Hallie, we all, all 17 of us, signed a pledge saying we would support whoever the nominee was, without qualification." Calling Cruz's stunt "cute," Christie went on to say: "I think it was an awful performance by someone who showed himself tonight to not be a man of his word." Publicly calling out Cruz might be more than a way for Christie to attempt to curry favor with a potential President Trump; he was also staking out his space in the new power structure of Trump's Republican Party — aka he's probably vying for a cabinet position, or some kind of consideration in the future. On one hand, it was entertaining to see this amount of actual, spirited infighting within the GOP. But at the end of the day, it is important to take stock of the winners and the losers, of each political play made. Right now, with so much in the country, and globally, at stake, it might turn off independents who are prospective Republican voters to see this kind of petty squabbling take place at the convention. Or it may have the potential to move others to take another look at Cruz. Either way, at the end of the day, Trump is now the GOP nominee, and it will be expected that the Republicans actively support him, no matter where their personal beliefs are.